For our next calendar, we will repeat the monograph format we used in last year’s edition, where only a single photographer will be the author of the twelve pictures that will illustrate the calendar. Send 12 images or its download link to [email protected] indicating the month proposed for the image in the file name of each photograph . The winner will be awarded a 300 € cash prize, and his/her name will be printed in the whole 2020 Gráficas LAR calendar. The subject for this edition will be SPORTS. We like all of them, so we will appreciate variety. You must send your 12 pictures before June 30th 2019. We want to highlight and clarify that the copyright of the pictures is absolutely yours. To be rated for the jury, you can send the files using download links as Wetransfer, Dropbox or Google Drive, in low resolution or even with your personal watermark. Please remember that orientation must be landscape. PRIZE DETAILS: The winner will be awarded a €300 cash prize, and his/her name will be printed in the whole 2020 Gráficas LAR calendar. Not eligible to enter? - Find contest where you are. COPYRIGHT: The moral rights of the pictures are non-transferable and inalienable. As article 1 of theSpanish Intellectual Property Law states: “the intellectual property of a literary, artistic or scientific work corresponds to the author by the mere fact of its creation. 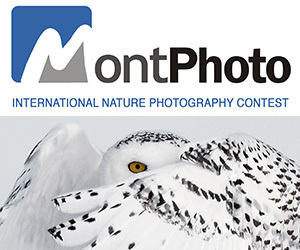 When the contest has ended, all photographs not awarded will be deleted. Graficas LAR will never have any kind of right to the pictures solely because of participation in this contest. Participants are responsible for the protection of any third party rights that may exist to the photographs they submit. USAGE RIGHTS: If Graficas LAR is interested in publishing any received picture by means of social media, we will contact the author for permission to use it.Should the author of the photograph not be interested in having a photo on social media, itwill not affect in any way his participation in the contest. The photographs are the property of the artist.During the judging phase, with author permission, submitted photos may be used on our webpage and Facebook for the sole purpose of promoting participation in the contest. In this instance, the name of the author will be added as a watermark. Should Graficas LAR be interested in using anyimage for any other purpose not related to the terms here written, LAR will previously contact with the author to get his authorization. Any other use of the photographs, contest winner or not, always will be accompanied withthe name of the author in a highlighted place.